Excited to see who Coach Dunleavy brings in as a new assistant. Hopefully, someone who can help recruit at a high level. Presume Coach Wilkins was the only hold over from Conroy's staff. J. Rothstein tweets that Tony Chiles will move up to become asst. coach on the hoops staff. Was an ace recruiter at St. Johns among other college coaching stops. 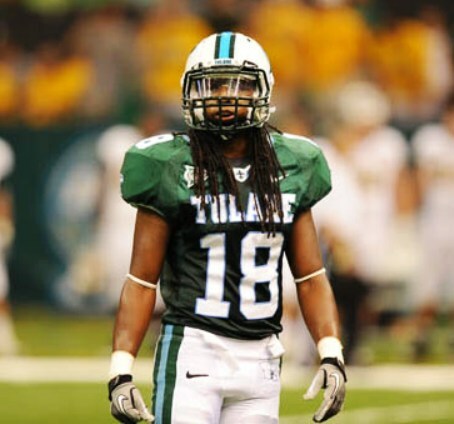 Has been at Tulane in administrative role last couple of years. I met Chiles last year during homecoming and we chatted over an hour, talking old mutual friends and such (we're peers age-wise). We've connected on Facebook and I've seen in the past half year that he has a lot of connections to a lot of high level recruits. May that pan out. "A formidable coach and recruiter, Chiles’ diligence has aided the Red Storm in the signing of the nation’s No. 3 recruiting class in 2011, the No. 8 class in 2012 and the top recruit of the Lavin Era in Philadelphia’s Rysheed Jordan in 2013. Chiles tutored the Red Storm backcourt – including 2014 All-BIG EAST Rookie Team member Jordan and 2014 All-BIG EAST first team guard D’Angelo Harrison, a former Top 100 prospect who set a new St. John’s freshman record with 544 points in 2011-12 before reaching the 1,000-point plateau tied as the eighth-fastest player in program history in 2013." Dude is smart. Just read his bio. My Best Man in my wedding was a guy I met at Tulane, who was in Tulane law while I was in undergrad. My friend had previously gone to Columbia for undergrad and was teammates with Chiles. Small world of small worlds... but yeah, he's smart. Ivy League smart. On Facebook he refers to a kid who will be a top ten national recruit in a couple of years as "nephew". I hope that's not a slang term, because that would be a nice "in", ifyaknowwhatImean.